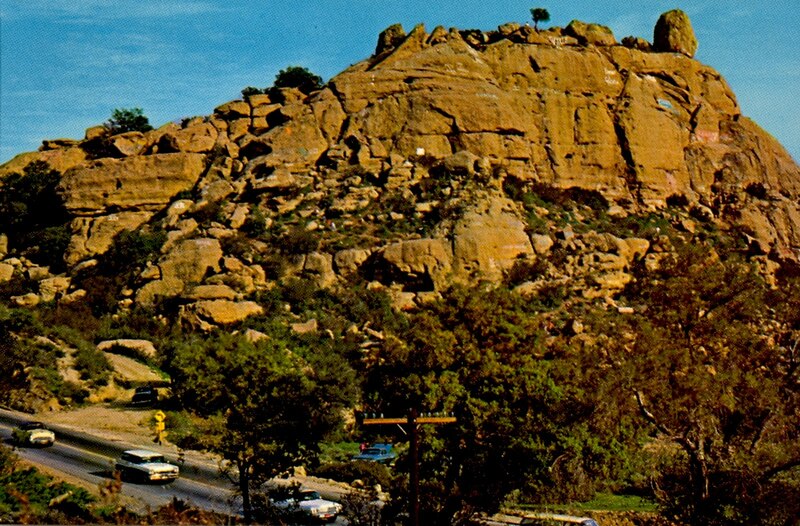 The impressive stoney outcroppings of Stoney Point in Chatsworth were, in the 1930s and '40s a national symbol of the American West. Cowboy and adventure movies were often filmed among these huge boulders.
" Famous landmark on Santa Susana Pass in the San Fernando Valley. 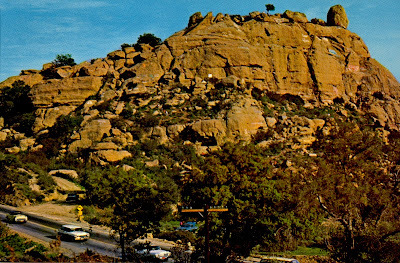 This impressive rugged rock formation, offering a challenge to mountain climbers, it Los Angeles Historic Monument Nop. 132. Card is printed as a Bicentennial project of the Chatsworth Historical Society." Note: The Bicentennial of the City of Los Angeles was in 1981. The American Bicentennial was in 1976.